^ 1.0 1.1 希望兒童復健診所. 天使寶寶專區：罕見疾病--大拇指症(魯賓斯坦泰比症候群). 2011-02-19 [2012-05-08] （中文（繁體）‎）. 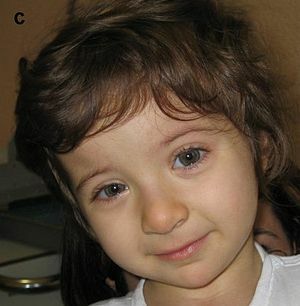 RTS - Rubinstein-Taybi Syndrome - A site devoted to the families and people diagnosed with Rubinstein-Taybi Syndrome. History of RTS by J.H. Rubinstein.